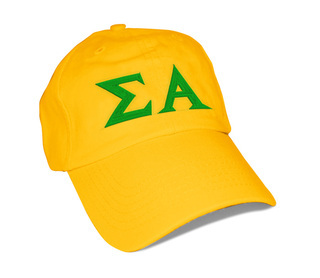 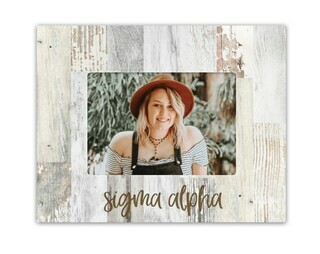 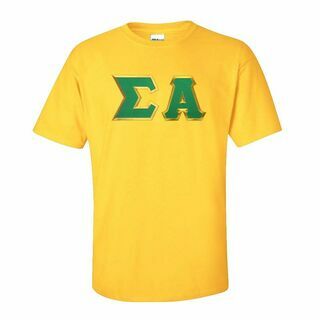 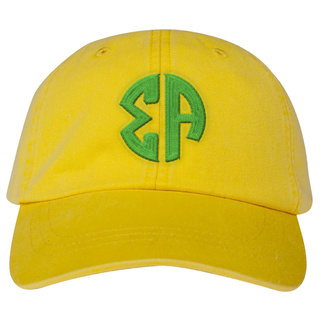 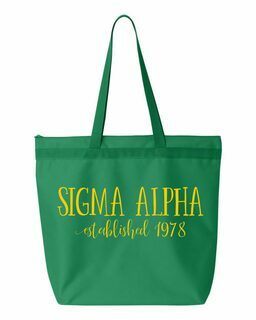 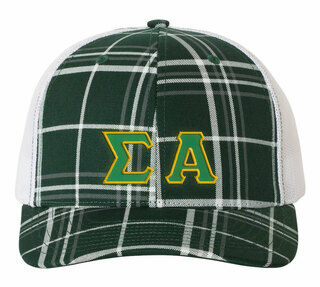 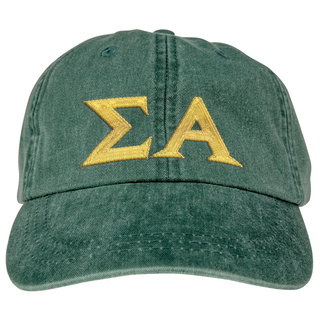 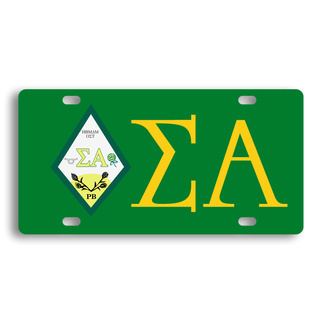 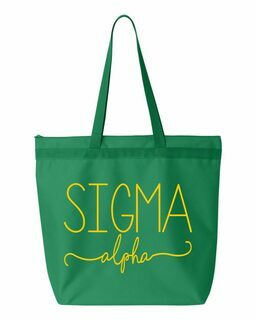 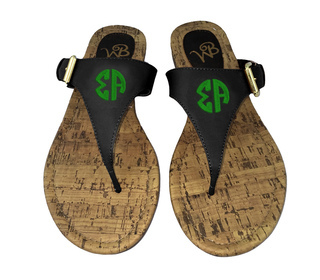 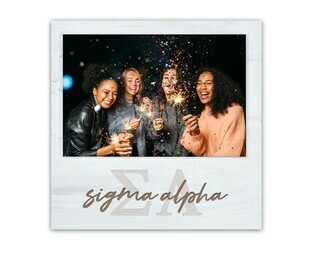 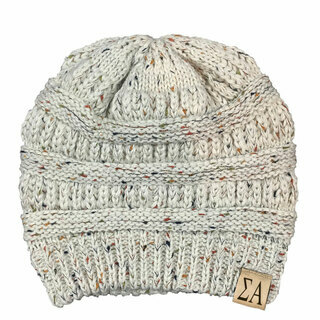 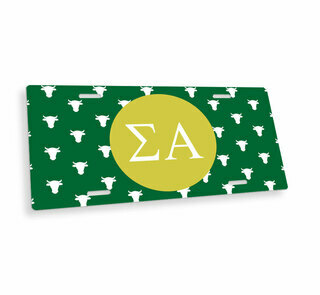 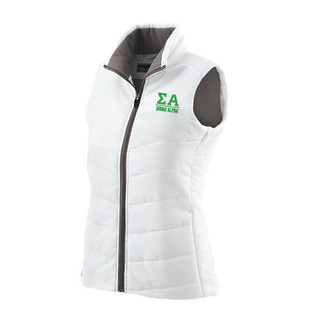 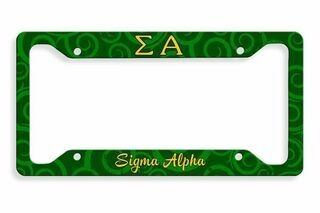 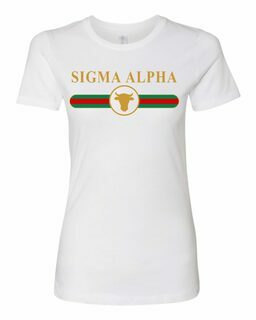 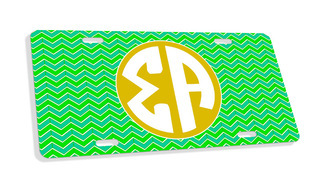 Sigma Alpha Merchandise & Gifts: We <3 Sigma Alpha ladies, aka �Women excelling in Agriculture.� This section of GreekGear.com is full of glorious green and gold merchandise for you and all of your Sigma Alpha sisters to enjoy, including shirts, phone accessories, bags and and signs. 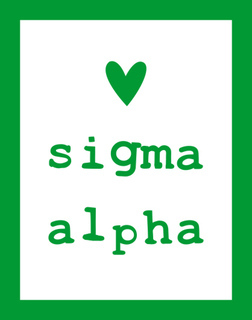 Sigma Alpha Sorority was founded in 1978 at the Ohio State University with a mission of "Cultivating Professional Women in Agriculture." 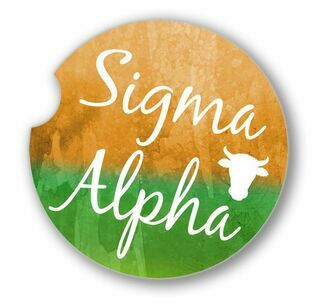 The organization has now grown to over 11,000 members. 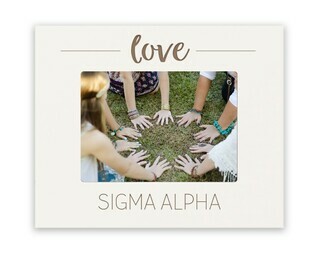 These lovely ladies pride themselves on the ideals of scholarship, leadership, service and fellowship. 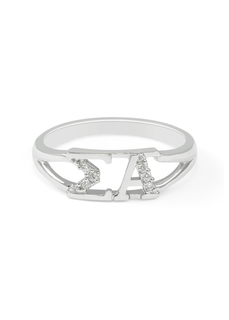 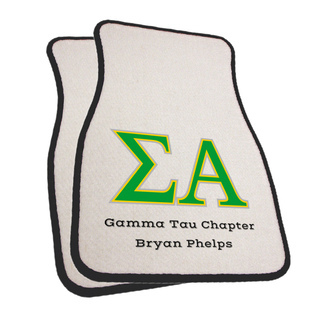 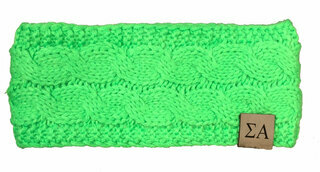 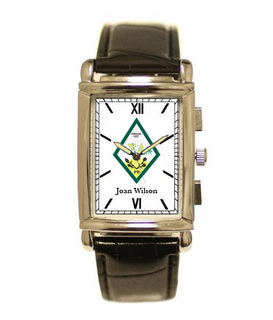 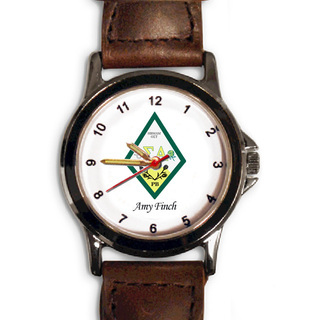 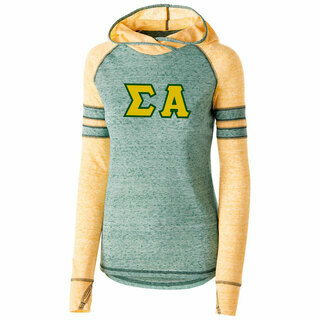 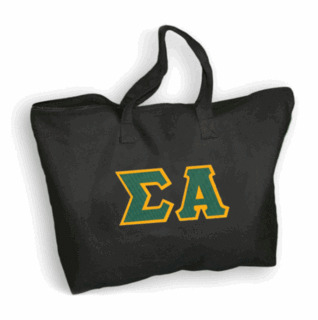 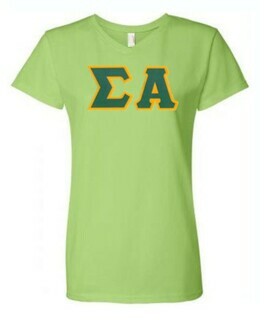 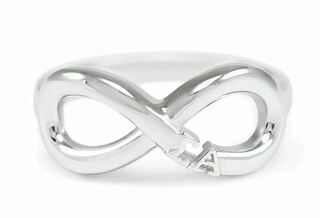 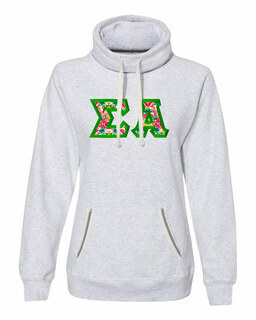 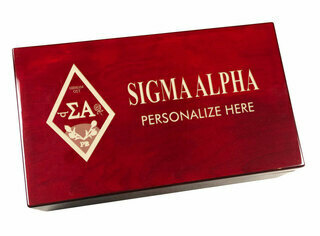 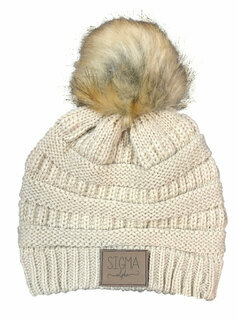 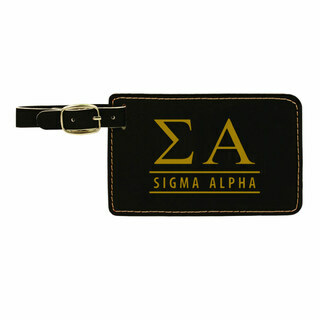 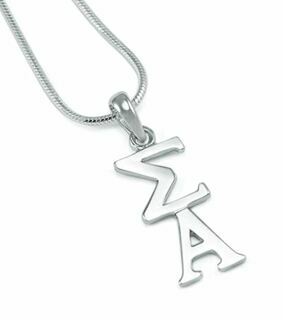 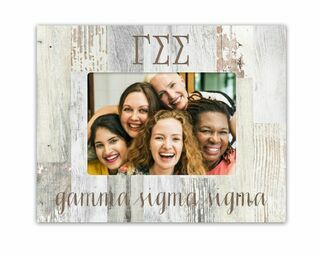 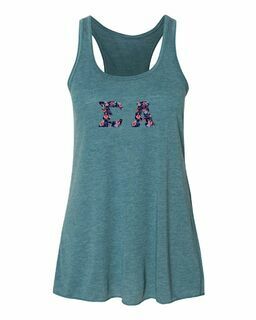 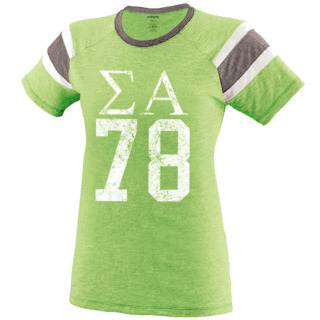 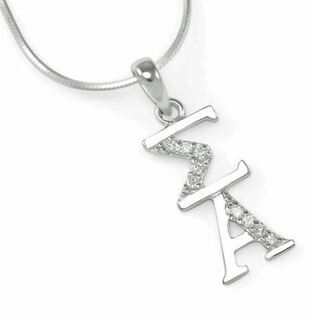 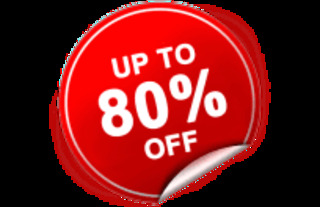 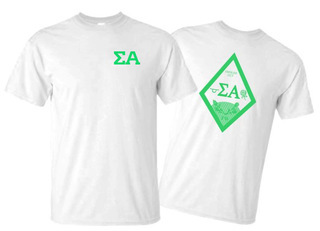 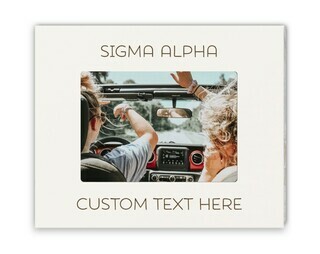 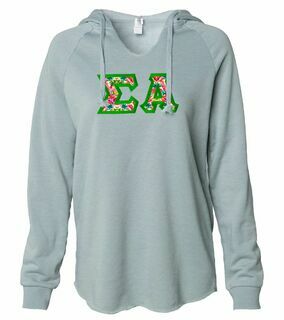 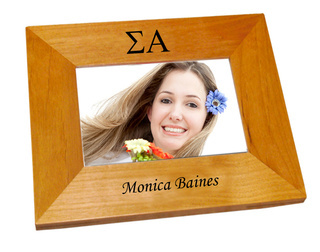 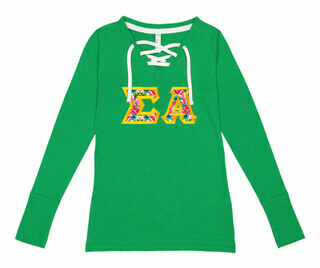 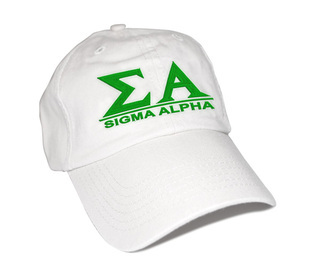 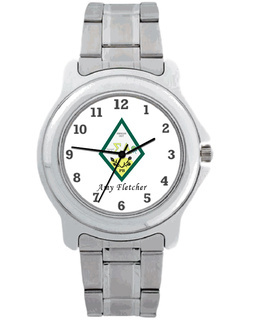 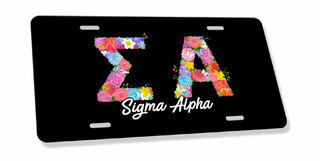 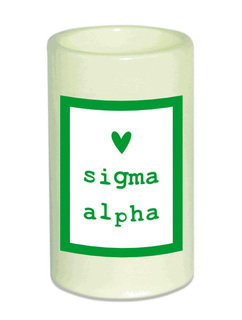 We are happy to offer a special section just for Sigma Alpha sorority merchandise. 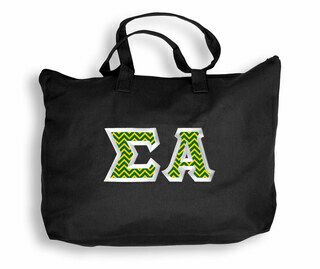 Stock up on great paraphernalia, like the Polka Dots Sigma Alpha iPhone Cover and the Sigma Alpha Lettered Tote Bag. 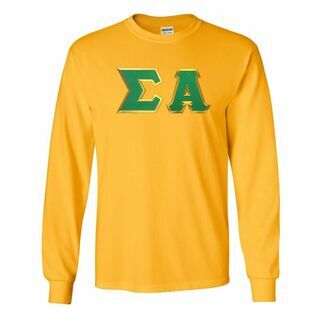 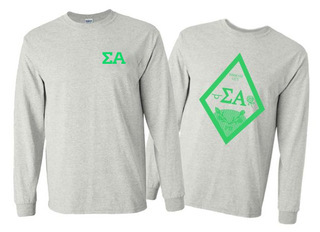 Sigma Alpha World Famous Crest - Shield Long Sleeve T-Shirt - $19.95! 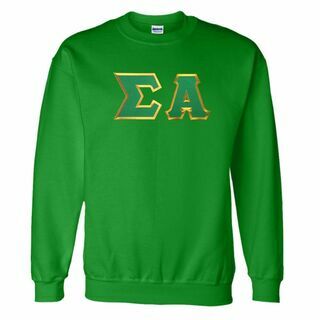 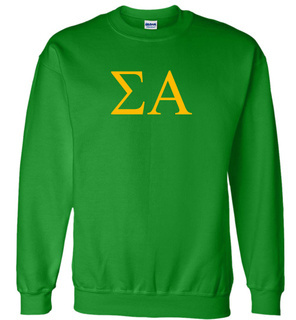 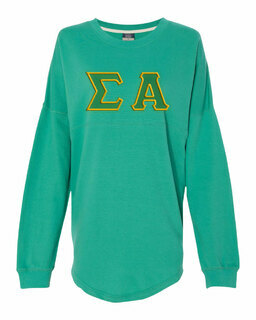 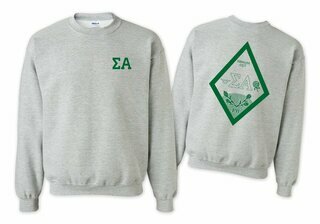 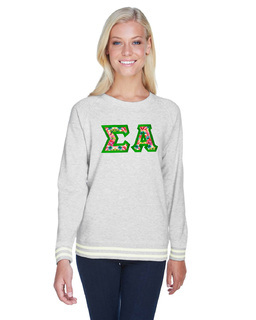 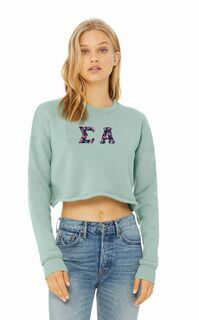 Sigma Alpha World Famous Crest - Shield Crewneck Sweatshirt- $25! 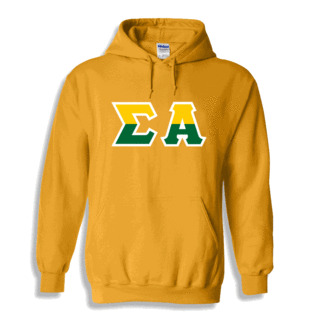 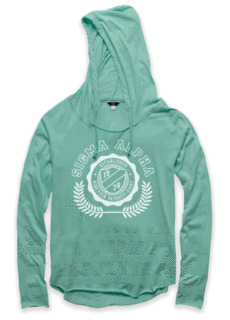 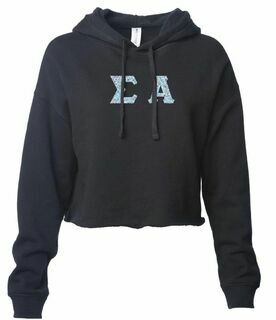 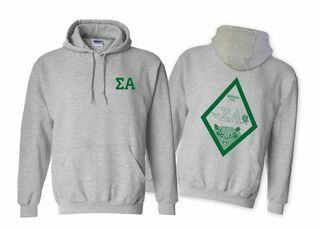 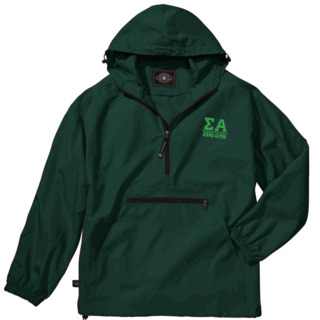 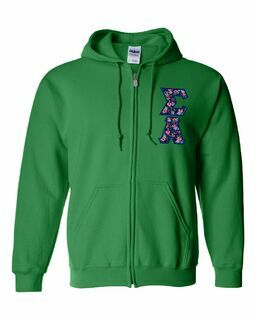 Sigma Alpha World Famous Crest - Shield Hooded Sweatshirt- $35!